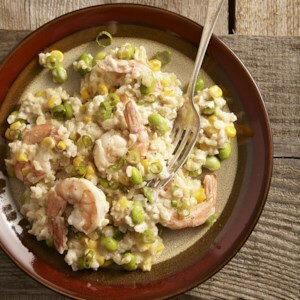 Find healthy, delicious risotto recipes, from the food and nutrition experts at EatingWell. Who doesn't love a creamy dish of risotto? Fennel adds a light, fresh taste to this no-cheese vegan version, which is bursting with crisp-tender asparagus and green beans, peppery arugula, and zesty radishes. Making risotto has never been easier, thanks to an electric pressure cooker, like the Instant Pot. In this easy recipe, you don't have to stand over the stove constantly stirring. Just add everything into the multicooker and cook on high pressure for 10 minutes and this delicious dinner side dish is ready. 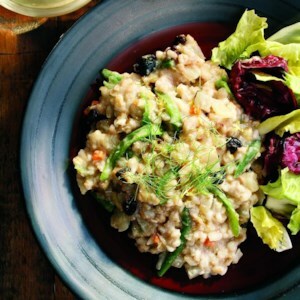 Farro is chewier than Italian rice and adds an earthy flavor to the lemon-pepper chicken and spring peas in this tasty risotto recipe. 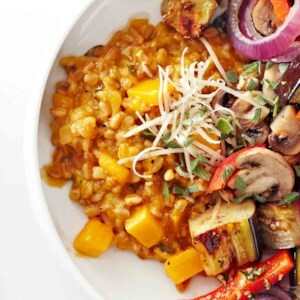 Farro is a whole grain that is similar in taste and texture to barley. In this versatile side dish, it is cooked with butternut squash and served with Parmesan cheese and fresh sage. 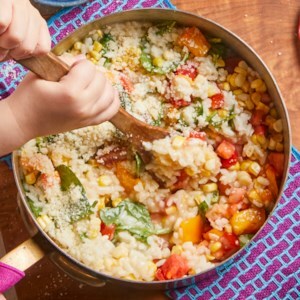 Corn and tomatoes make this risotto taste like summer itself, but you can stir in almost any vegetables that your family likes. Make this simple entree vegetarian by swapping in vegetable broth or "no-chicken" broth for the chicken broth. 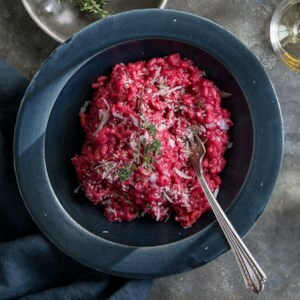 Beet juice gives this classic Italian vegetarian risotto recipe a gorgeous (millennial) pink hue. Look for bottled beet juice with other juices at well-stocked supermarkets or juice some of your own. 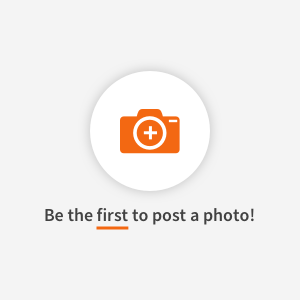 Just be sure to wear gloves! Risotto is hardly effortless fare, what with all that stirring over a hot stove. But instant brown rice and creamy Neufchatel cheese can make a nutty, rich, stand-in version that's sure to be a family favorite. 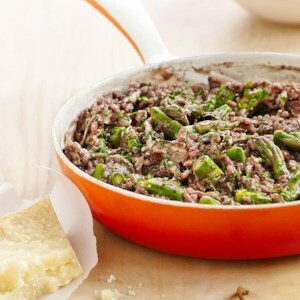 Substitute any vegetables you wish for the asparagus and bell pepper. Make it a Meal: Paired with a salad, this is a perfect vegetarian main course, or serve as a side dish with grilled chicken or steak. 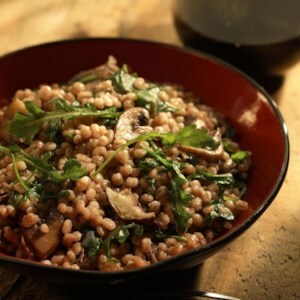 Although traditional risottos use refined arborio rice and require constant stirring, you can achieve excellent results with this oven-baked version using short-grain brown rice, taking advantage of its whole-grain benefits. Not up for 20 minutes of leaning over the stove? You can still enjoy this main-course risotto, studded with tasty green soybeans, because the microwave eliminates much of the constant stirring required for preparing a stovetop risotto. 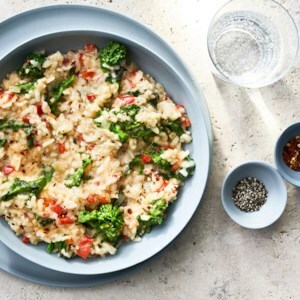 Sweet red bell pepper balances the bitterness of broccoli rabe in this vegetable risotto recipe. If you can't find broccoli rabe, use chard instead. 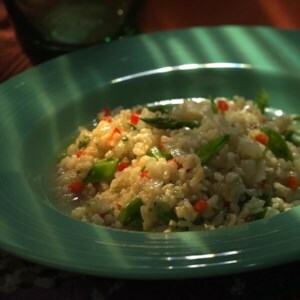 For an easy risotto method, we've also included instructions for making this dish in the microwave. Make it a meal: Serve with Arugula & Strawberry Salad. 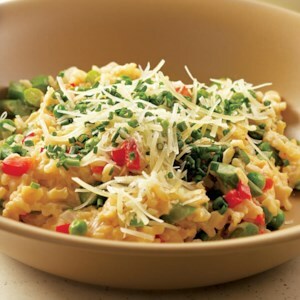 Two methods are included here for this subtly flavored risotto. For the conventional method, chicken broth is added a little at a time and the rice is stirred between additions. The microwave technique does not need constant stirring. It also uses less chicken stock because there is less evaporation during cooking. Mussels and saffron star in this creamy risotto. Make it a meal: Serve with Sliced Tomato Salad and whole-grain baguette. 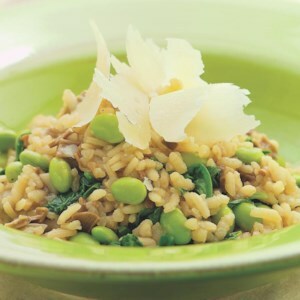 In this healthy, quick risotto recipe, we use instant brown rice instead of arborio rice, and frozen corn and edamame to speed up the cooking time and add fiber. 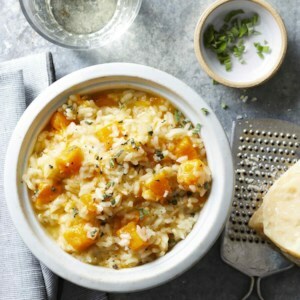 To get the creamy risotto texture without slow cooking, we stir in cream cheese and Parmesan just at the end of cooking. 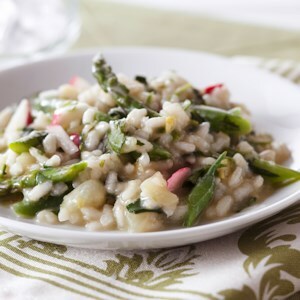 For this deep, rich red-wine mushroom risotto recipe with fresh spring asparagus, we like it best when it's made with mushroom broth (which you can find in well-stocked supermarkets), but any type of vegetarian broth works. 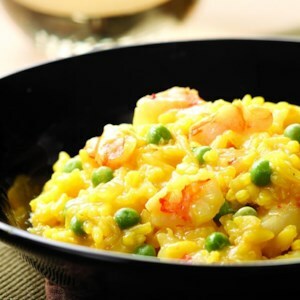 This Spanish-inspired main-dish risotto is studded with plenty of shrimp and peas. If you happen to have fresh shelled peas on hand, feel free to use them in place of the frozen peas. This convenient alternative to traditional stovetop risotto uses healthy, fiber-rich whole grains--either barley or brown rice--seasoned with Parmesan cheese, lemon zest and oil-cured olives. The gentle, uniform heat of a slow cooker allows you to cook a creamy risotto without the usual frequent stirring. 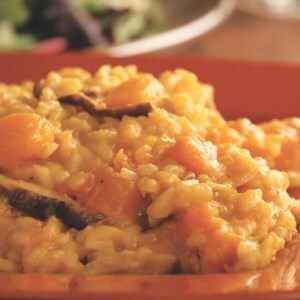 Sweet winter squash and earthy shiitake mushrooms are delicious in this creamy risotto. 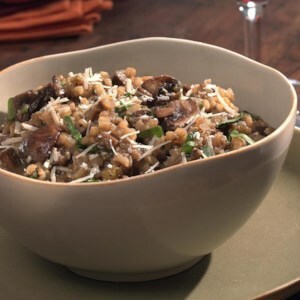 In this pungent mushroom risotto, we substitute fiber-rich barley for the more traditional arborio rice. Any combination of mushrooms will work; if you use shiitakes, remove the stems from the caps before using. This updated spring classic calls for nutty-tasting short-grain brown rice instead of the traditional white arborio. Because the cooking time is longer with whole-grain rice, this risotto is cooked in the oven rather than on the stovetop, eliminating the need for almost constant stirring. 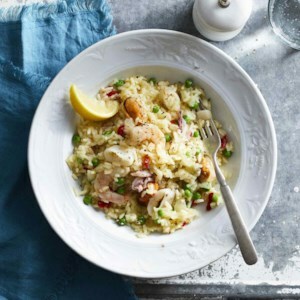 Made with the readily available long-grain rice instead of Italian short-grain, this seafood risotto does not require constant stirring as does traditional risotto.